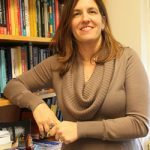 Jodi Lapidus, PhD, Principal Investigator: Jodi Lapidus is a Professor in the Oregon Health & Science University – Portland State University School of Public Health (OHSU-PSU SPH). She has also been a collaborating investigator at the Northwest Portland Area Indian Health Board (NPAIHB) for several years. Most of her activities with NPAIHB have focused on reducing health disparities in tribal communities, as well as providing education opportunities in research design, data analysis and biostatistics. 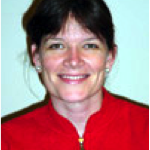 Her primary research areas include injury prevention and maternal and child health epidemiology. Jodi has worked with Tribal communities extensively in both the Southwest and the Northwest, including work on the 2003 Northwest Tribal Child Safety Seat Study and the Native CARS Study. As Native CARS’s Principal Investigator, Dr. Lapidus provided the administrative leadership for the Native CARS Study team and was responsible for design of ensuring the scientific rigor of the quantitative data collection, statistical analysis, and dissemination results to communities. 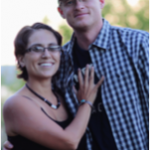 Jodi, her husband Tom, and cat Francisco live in Portland, Oregon, where they enjoy kite boarding and traveling. Tam Lutz, MPH, Doctoral Student, MHA, Project Director: Tam Lutz is a Lummi Tribal member with ancestral ties to the Quinault, Nooksack, Skagit, Chinook, Cowlitz, and Duwamish Tribes. She has spent 19 years working in public health in Indian Country, including more than 14 years at the NPAIHB. Ms. Lutz is the Project Director for the Native CARS Study as well as Co-Principal Investigator for the TOTS to Tween Study. Lutz is an experienced field researcher and a developing dental epidemiologist. She has directed other projects at the NPAIHB including the very successful Toddler Obesity and Tooth Decay Prevention Study and the Indian Community Health Profile Project. She is currently a doctoral candidate in Public Health Leadership at the Gillings School of Global Public Health at the University of North Carolina, Chapel Hill. As Project Director, Ms. Lutz participated in all aspects of the study and managed the project on a day-to-day basis. She was responsible for communicating with tribes, facilitating IRB approvals, conducting and interpreting the qualitative research, and designing and evaluating community-based interventions. 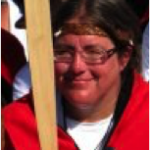 Tam, her husband Ed, and their two children live in Beaverton, Oregon, where she enjoys cheering from the sideline as she watches her children participate in sports, preparing for and participating in the annual Tribal canoe journey, and spending time with family. Nicole Holdaway Smith, MPH – Biostatistician: Nicole Smith has been a NPAIHB employee since 2002 and has worked on many projects with the Northwest Tribes, including the TOTS Project, Tribal BRFSS projects, Maternal and Child Health projects, Tribal Vision Study, Elder Diet and Nutrition Study, the 2003 Northwest Tribal Safety Seat Project, and the Native CARS Study. As Biostatistician, Ms. Smith designed the quantitative data collection forms and data gathering strategies for the vehicle observation data, managed the Native CARS databases, and along with Dr. Lapidus, conducted data analysis. Nicole and her husband live in Portland, Oregon, with their two boys and Kung Fu Panda-themed pets. They enjoy travel, hiking, boating, watching the kids play sports and hanging out at the park. 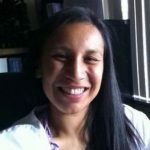 Candice Jimenez, MPH – Research Manager: Candice Jimenez is a member of the Confederated Tribes of Warm Springs and joined the NPAIHB beginning with the Native CARS Study. She has experience in qualitative data analysis, data entry, tribal community data collection, qualitative data coding and reporting, and coordinating communications between tribes and project investigators. Previously, Candice was an EMR Implementation Specialist supporting physicians within the Providence Health System as hospitals adopted a new electronic health record system. 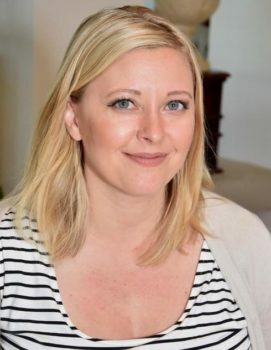 Mrs. Jimenez has also been active in policy development for the Oregon Health Authority, an advisory council member for FamilyCare Health Plans, as well as several volunteer/internship experiences related to healthcare, public health, and natural resources. As a Research Manager, Mrs. Jimenez has served as a key person in communicating with Tribal partners. She has assisted in the coding and presentation of the qualitative data as well as facilitating the development of Tribal media materials, which included radio and television public service announcements related to child passenger safety. Candice and her husband live in Portland, Oregon, with their son and daughter. They enjoy hiking, mountain biking, camping, travelling, and exploring the food culture throughout the city. Beth Ebel, MD, MSc: Beth Ebel is a pediatrician who works at Harborview Medical Center, the Northwest region’s Level I Trauma Center. She is also director of the Harborview Injury Prevention and Research Center. Dr. Ebel studies injury prevention and has directed a number of projects related to safe travel. She has supervised community-based programs to keep kids safe in the car, including programs around Seattle and in the Yakima Valley. Dr. Ebel worked with NPAIHB partners who worked with Tribal members to conduct a survey of car seat and booster seat use in Northwest Tribes in 2003, and with the Native CARS Study. Beth and her husband are busy parents of three young children who give absolutely no thought to injury prevention. on the lawn outside, Zumba, or enjoying the company of cows, two dogs, and two cats. Rebecca Hunt – Native CARS Site Coordinator (Colville): Rebecca Hunt is a member of the Confederated Tribes of the Colville Reservation, with ancestral ties to the Moses Columbia, Palus, Entiat, Nez Perce, and Arrow Lakes Bands. 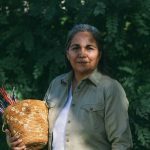 She has lived on the Colville Reservation her entire life, except while she was enrolled in the University of Idaho’s Natural Resources College for Forestry, and for 18 months while she lived in North Bend, Oregon. She previously worked in the Natural Resources Forestry industry of the Colville Reservation, but turned her focus to Tribal health issues in 2010. She worked with mothers and children participating in the PTOTS Study through the Colville Reservation’s Tribal Health Programs, became a Child Passenger Safety Technician in 2010 and took over as the Tribal Health Programs site coordinator of the Native CARS Study. Through her efforts with the Native CARS Study she was able to assist in getting a Child Passenger Safety Seat Law enacted on the Colville Reservation. She worked with Tribal Health and Native CARS until Bernadine Phillips was able to resume her position as site coordinator in 2011. Thereafter, she continued working with the Native CARS Study as an independent contracted specialist. Rebecca, her husband Jeremy, and their three children live in Coulee Dam on the Colville Reservation in Washington State. She enjoys watching her children play soccer and baseball, and actively helps out with their Cub Scout Pack. She is also a committee member for the Title VII/JOM program of her children’s school. In her free time she likes to read, knit, and run in 5K/10K races. One of her ultimate goals in life is to meet the 1964 Tokyo Olympic Gold Medal winner of the 10,000m race, Billy Mills. Bernadine Phillips, Native CARS Site Coordinator (Colville): Bernadine is a member of the Confederated Tribes of the Colville Indian Reservation and has been with the Native CARS Study since the fall of 2009. As a site coordinator, Bernadine has helped develop and implement community-based interventions conducted at the Colville site. Being a seat belt user of over 25 years, the timing was right to promote car seat safety through the study. Along with the other site coordinator, Rebecca Hunt, she networked with the Colville Tribes Traffic Safety team, creating successful outcomes for both programs, and was awarded an “Excellence in Research” for Colville Native CARS from the Native Research Network in June 2014. She also received an American Indian Film Festival Award for Colville Tribes Traffic Safety Program for the “Traffic Safety Successes on the Colville Indian Reservation” in 2012. Mrs. Phillips has been an instrumental contributor in each of these collaborative efforts. One lasting success of the study was the passing of a Colville Tribal Child Restraint Code in May 2011. Bernadine lives in Omak, Washington, with her husband Brian, a retired law enforcement officer, and their two pups. She enjoys time doing cultural arts such as basketry and beading. Together they find time to RV and enjoy nature’s beauty. 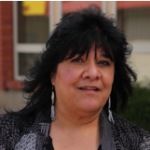 Crissy Garcia, BS, Native CARS Site Coordinator, School Health Specialist (Nez Perce): Crissy Garcia has been a Nimiipuu Health employee for over six years as a School Health Specialist. She has worked on different projects with the NPAIHB including Native Its Your Game, Native VOICES, and has been on the Native CARS project since the spring of 2013. As a site coordinator, she helped gather vehicle observation data at daycares, Head Starts, and elementary schools on the Nez Perce Reservation, has developed promotional and media materials for the Native CARS project, and has also developed a car seat distribution program in partnership with the Moscow Police Department. She sits on the newly formed Inland Northwest Car Seat Coalition. Crissy has been a certified Child Passenger Safety Technician since 2012. 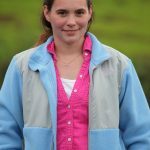 Crissy lives in Lapwai, Idaho, with her husband Thunder and their two teenage children Kiara and Kieran. They stay busy traveling to watch them play AAU basketball, baseball, and soccer. They also enjoy spending time together being outdoors, camping, playing board games, antiquing, and working on their glamper. 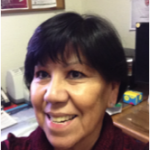 Alice “Kootsie” Cunial – Native CARS Site Coordinator, Head Start Teacher (Klamath Tribes): Kootsie is a member of the Klamath Tribes and has ancestral ties to the Chippewa, Cree, and Assiniboine. Ms. Cunial has provided guidance and instruction to over two generations of Klamath children in early childhood and Head Start programs for Klamath County. Her past experience with the Klamath Tribes includes directing the first Tribal Relief Nursery in the country. Investing her experience and expertise into these programs has made her a memorable teacher and valuable community contributor. Currently, she serves as a Head Start Teacher for the Oregon Child Development Coalition. As a Native CARS Site Coordinator, Ms. Cunial has assisted in the implementation of community-based intervention activities that focused on improving child safety seat use in her surrounding communities. In these communities, Kootsie has been instrumental in conducting community events, providing training, overseeing mural production and completion of media PSAs, as well as developing a safety coalition to advocate child passenger safety. Kootsie is the mother of 4 sons. She enjoys camping, hiking, collecting fossils, and using natural items in crafting. Iola Hernandez, CNA – Native CARS Site Coordinator, Fitness Instructor, Health Educator, CPS Technician and CPR/AED Instructor (Shoshone-Bannock Tribes): Iola has worked for the Shoshone-Bannock Tribes on the Fort Hall Indian Reservation in Idaho within many health areas for over 30 years. Her newest project is working with the Native CARS Study. As a CPS Technician, the Health Education program distributes infant, toddler and booster seats to appropriate-age children, who must be registered with Indian Health Service. At this time, Iola has two projects going, one is working on the Media Module for the Native CARS Project and Portland Area Indian Health Board and trying to get a seat belt law passed on the Fort Hall Indian Reservation. In order to support passing of a safety belt and child restraint system code, Iola has partnered with the Tribal police department, fire department, attorney, and early childhood school. Iola has been actively engaging the community through several display booths promoting the new law, in addition to coordinating a public hearing at the Shoshone-Bannock Hotel and Event Center. Recently, she helped to send eight employees from the above-mentioned programs to child passenger restraint training. Iola attended the 2014 Native Research Network conference in Phoenix, Arizona, which she notes helped her understand what the Native CARS program aims for and the successful outcomes she has observed in its reach. Iola has been with the Native CARS project since 2013 and worked with past site coordinators in observations of car seat use and proper installation. Iola’s life is with her husband, Frederick “Sam,” a retired Agricultural Engineer with the BIA in the Fort Hall Agency. She has two daughters, three spoiled beautiful grandkids, and a baby great-grandson. They all live on the Fort Hall Indian Reservation, Gibson District.